CUCET 2019 Application Form has been Extended till 20th April 2019. CUCET 2019 (Central Universities Common Entrance Test) will be organized by the eleven central universities. 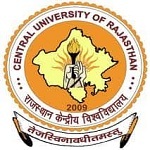 CUCET is offered by the central universities across the country and its a combined entrance test organized for providing admission into various UG, PG & other courses. CUCET 2019 Exam Date has been Announced. The Exam will be held on 25th May to 26th May 2019. Through these candidates can get admission in central universities of Haryana, Jharkhand, Kashmir, Punjab, Tamil Nadu, Jammu, Karnataka, South Bihar, Kerala, and Rajasthan. It is a national level examination which is conducted once in every year. This entrance test is conducted to offer admission into under Graduate and Post Graduate courses. 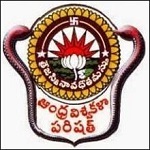 Admission is provided into B.Tech, B.Sc, Integrated B.Sc, M.Sc, M.A, etc. courses. Candidates can check details of CUCET 2019 exam contains Application Form, Eligibility Criteria, Exam Pattern, Admit Cards, Exam Dates, Result and Syllabus Etc. CUCET 2019 Application Form has been Extended till 20th April 2019. Click Here to Check Application Details. CUCET 2019 Exam Date has been Announced. The Exam will be held on 25th May & 26th May 2019. Click Here to Check Exam Date Details. UG Courses: B.Tech, Integrated B.Tech, Integrated B.Sc., Integrated B.Ed., B.Sc., Integrated B.Sc., B.A. LLB, B.A., B.Des, etc. Candidates should know the important date provided of CUCET 2019 entrance exam below. Events are mentioned such as Online Registration starts, Last date for online registration, Application Correction, Admit card release and Exam dates, etc. In the given below table, we have mentioned the CUCET 2019 Exam Dates. After the official announcement, we will update it in this section. CUCET 2019 Online Registration has been Started from 13th March 2019, and the Last date of online registration is 20th April 2019. Fill and apply them before the maturity date mentioned. Candidates can fill the application form as per the instructions are given below. Candidates are advised to fill all details carefully in the application form. The authority will publish the CUCET 2019 application form through online mode. CUCET 2020 Application form has been Released on 13th March 2019. The application form can be submitted by 20th April 2019. In each university, candidates can choose the maximum of three universities and three courses. While applying Candidates must have the latest digital photograph of good quality and signature size between 10KB-50 KB. All candidates are advised to keep printed copies of filled application form. Payment can be made online as well as through offline mode. Once it is paid, it will be not refunded back to any candidate. The fee can be paid by debit/credit card/net banking or Challan of SBI bank any branch. The PwD candidates are exempted from application fee. Before applying, candidates must check the full eligibility criteria of CUCET 2019 entrance exam. Candidates have to check whether they are eligible to apply or not. CUCET 2019 eligibility criteria contain Nationality, UG Courses, Integrated Courses, PG Courses, and Appearing Candidates etc. Candidates are advised to check each university eligibility criteria to participate in the exam. Each university has different eligibility criteria. Here we have mentioned some basic eligibility. UG Courses: Candidates must qualify the 10+2 or its equivalent examination from a recognized board/university. Integrated Courses: Candidates should pass the Intermediate or equivalent examination from any board. PG Courses: Candidates should hold a Bachelor’s degree in the respective qualifying exam for which they are applied. Phill/ Ph.D. Courses: The applying candidate should hold a Master’s degree. Appearing Candidates: The candidates those are in the final year of their qualifying exam are also eligible to apply. CUCET 2019 Exam will be Held on 25th May & 26th May 2019. Candidates must know the CUCET 2019 exam pattern and syllabus, and this will help in studies. The entrance exam will be held in offline mode; candidates have to complete paper within 2 hours no extra time will be given to candidates as per rules and regulation. In this section, we have mentioned the details of CUCET exam pattern 2019. Mode of Exam: The exam will be held through offline mode. Duration: Each paper will be of about 2 hours. Number of Questions:100 questions will be asked in the exam. Marking Scheme: 1 mark will be allotted for one correct answer. Negative Marking: There is a provision of negative marking. 0.25 marks will be deducted for each incorrect response. Parts: Part-A will contain the English Language, general awareness, mathematical aptitude and analytical skills of 25 MCQs. Part-B contains Domain Knowledge which will be comprised of 75 MCQs. This part may consist of one/two/three sections of 25 questions each. Candidates should analyze the syllabus and exam pattern to the depth and collect material to study. Candidates must give equal time according to the difficulty level of the particular subject. Candidates should go through the previous year question papers. Revision all topics from the chapter on a daily basis. Maintain your health stay fit. The question asked will be from English language, reasoning, data interpretations/numerical ability, general awareness and analytical skills. CUCET 2019 Syllabus For admission to some Integrated courses/MBA/ LLB/or any other general courses, only one paper comprising of 100 MCQs will be held. Candidates have to study from the prescribed syllabus by authority. For each course notified will be published notified by each university on their website. Through online mode, candidates can get CUCET to Admit Card 2019. 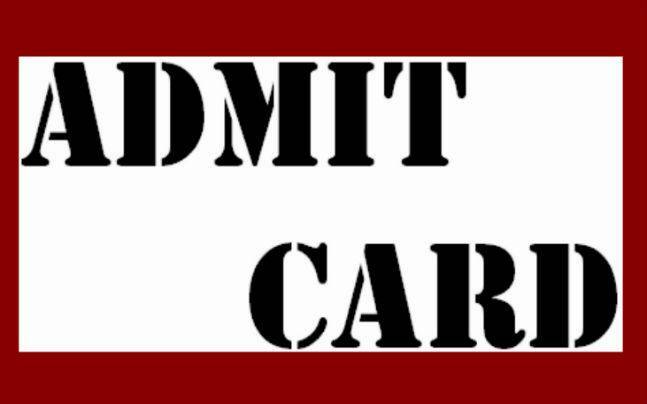 Those candidates who have successfully registered their application can only download the admit cards. By entering the application, the number of candidates can get CUCET to admit card 2019. 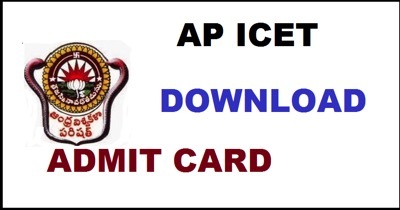 CUCET 2019 Admit Card will be Available on 10th May 2019. Candidates can get CUCET 2019 through online mode on official portal. Candidates must note that carrying the CUCET 2019 admit card to the exam hall is compulsory. No candidates will send admit cards by any authority. CUCET 2019 Result will be Declaring on 21st June 2019. The merit list will be prepared by each university for offering admissions on the basis of declared CUCET 2019 result. On the basis of marks secured by the candidates, the merit list will be prepared. Candidates have to keep print copies of results for the admission process. At the level of each Central Universities, Admission procedure will be held. The respective Central Universities will declare the counseling/admission schedule on official portal. Candidates will be called for the counseling session of the CUCET 2019. A merit list will be prepared on the weight on CUCET score and the other criteria of PUs will also be published by each university. And candidates got selected will be invited for counseling and for choice filing process. In the table, candidates can check the Exam center of CUCET 2018 as the preference. On official portal details regarding CUCET 2019 exam is described. If you have any other queries about CUCET 2019, you can write your queries in the comment box given below. Is this valid exam for PhD entrance ?